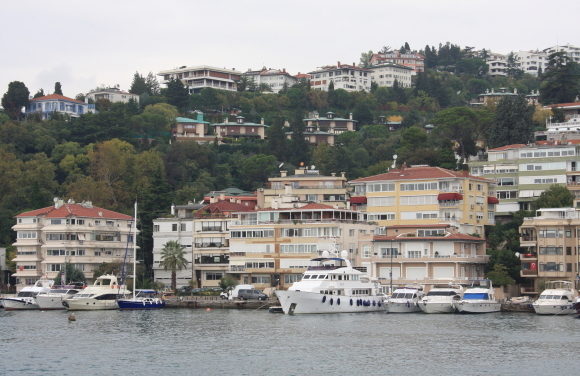 The Bosphorus, also Bosporus, from Greek Βόσπορος. 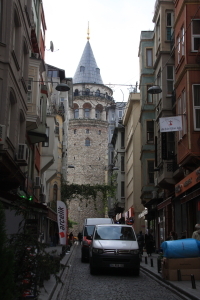 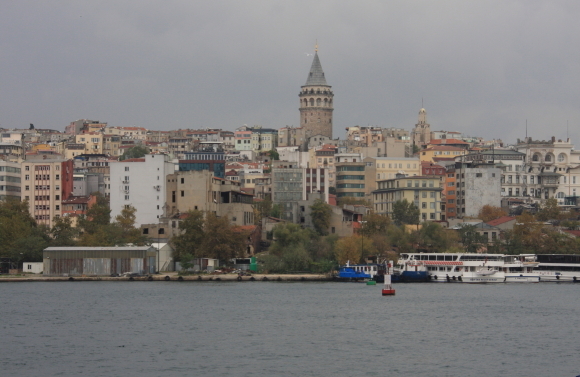 Turkish is a strait that forms part of the boundary between Europe and Asia. 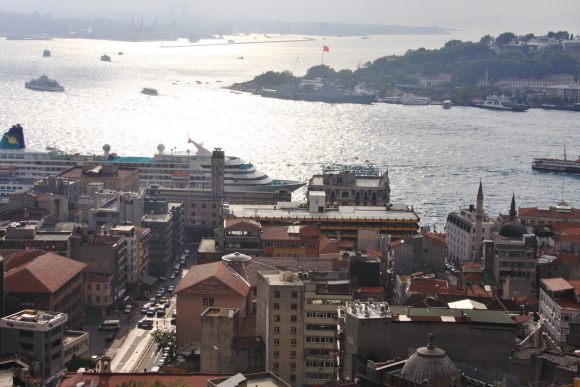 The Bosporus, the Sea of Marmara, and the Dardanelles strait to the southwest together form the Turkish Straits. 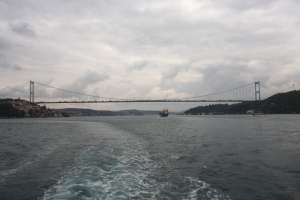 The world's narrowest strait used for international navigation, the Bosporus connects the Black Sea with the Sea of Marmara. 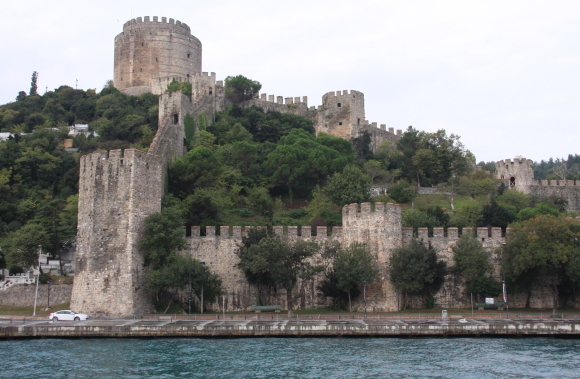 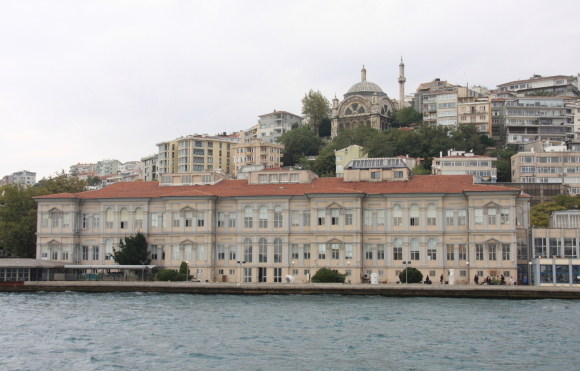 The Bosphorus has 620 waterfront houses built during the Ottoman period along the strait's European and Asian shorelines. 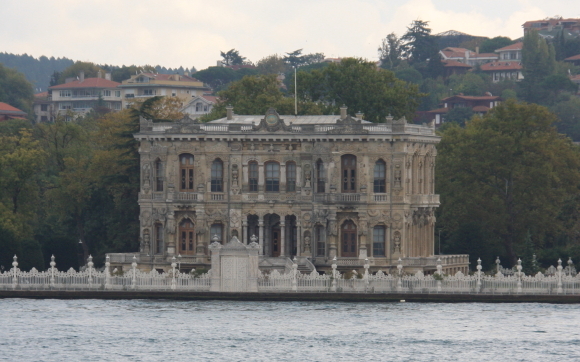 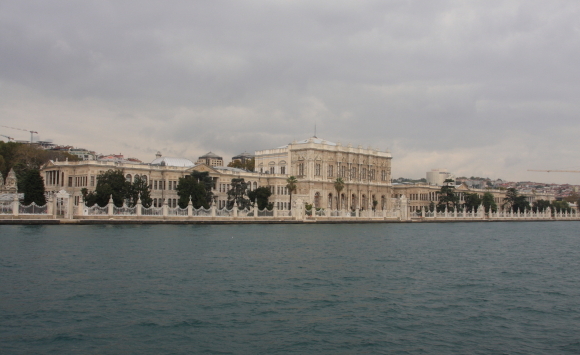 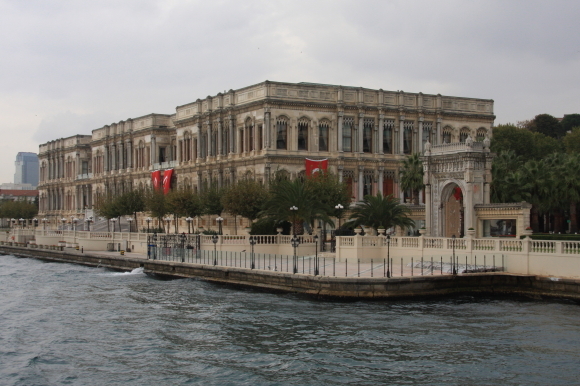 Ottoman palaces such as the Topkapı Palace, Dolmabahçe Palace, Yıldız Palace, Çırağan Palace, Feriye Palaces, Beylerbeyi Palace, Küçüksu Palace, Ihlamur Palace, Hatice Sultan Palace, Adile Sultan Palace and Khedive Palace are within its view. 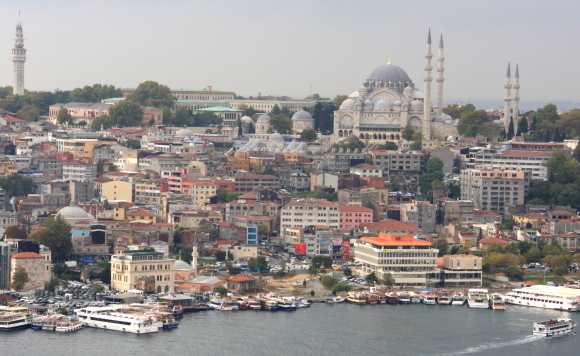 Buildings and landmarks within view include the Hagia Sophia, Hagia Irene, Sultan Ahmed Mosque, Yeni Mosque, Kılıç Ali Pasha Mosque, Nusretiye Mosque, Dolmabahçe Mosque, Ortaköy Mosque, Üsküdar Mihrimah Sultan Mosque, Yeni Valide Mosque, Maiden's Tower, Galata Tower, Rumelian Castle, Anatolian Castle, Yoros Castle, Selimiye Barracks, Sakıp Sabancı Museum, Sadberk Hanım Museum, Istanbul Museum of Modern Art, Borusan Museum of Contemporary Art, Tophane-i Amire Museum, Mimar Sinan Fine Arts University, Galatasaray University, Boğaziçi University, Robert College, Kabataş High School, Kuleli Military High School. 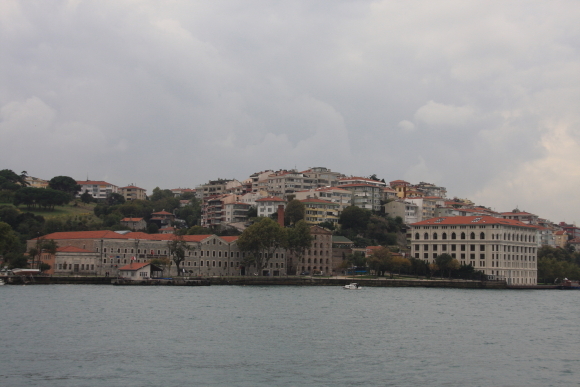 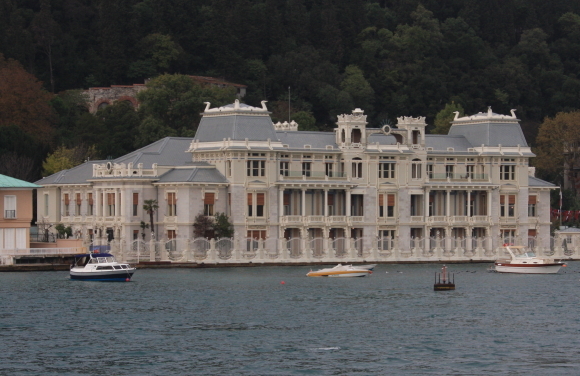 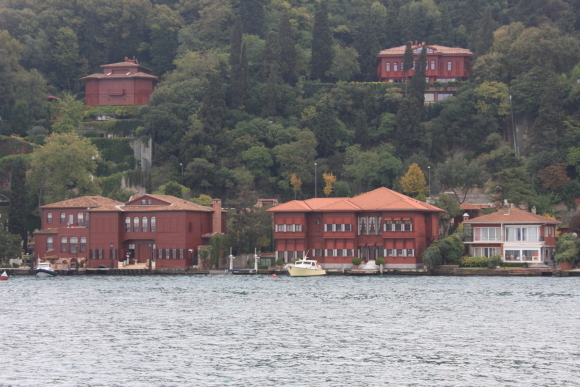 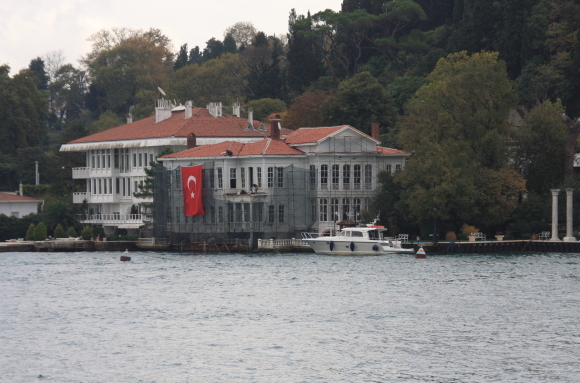 Ottoman era waterfront houses (yalı) on the Bosphorus. 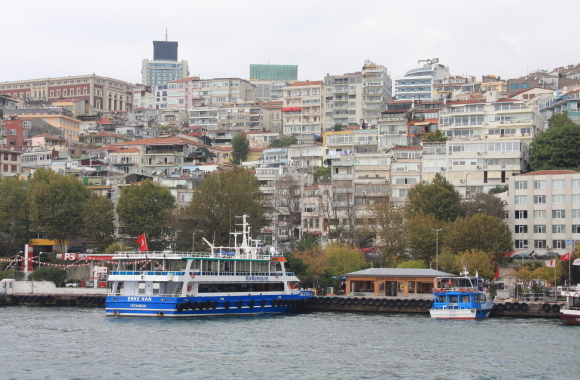 Two points in Istanbul have most of the public ferries that traverse the strait: from Eminönü (ferries dock at the Boğaz İskelesi pier) on the historic peninsula of Istanbul to Anadolu Kavağı near the Black Sea, zigzagging and calling briefly multiple times at the Rumelian and Anatolian sides of the city. 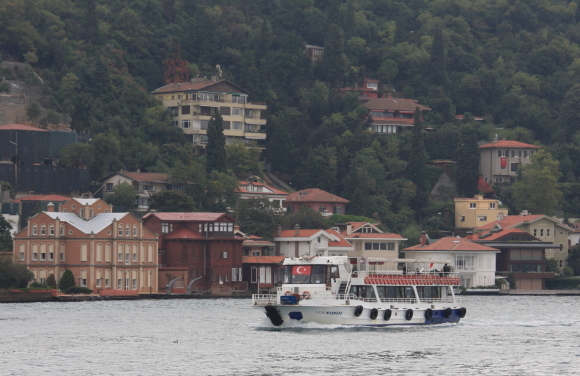 At central piers shorter, regular ride in one of the public ferries cross. 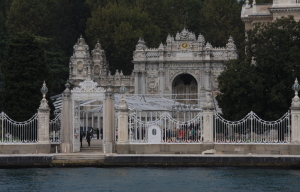 Private ferries operate between Üsküdar and Beşiktaş or Kabataş in the city. 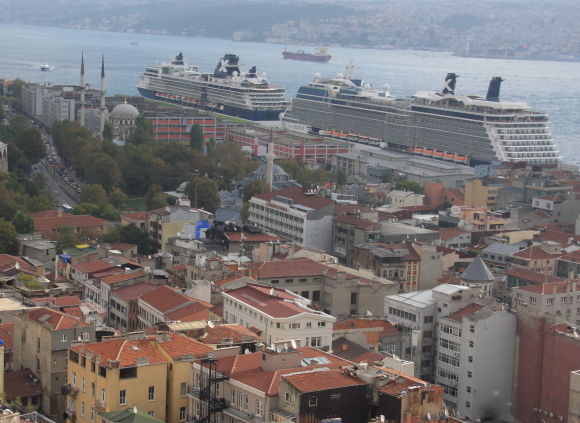 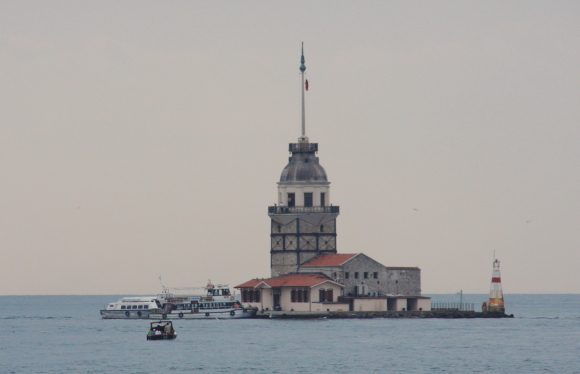 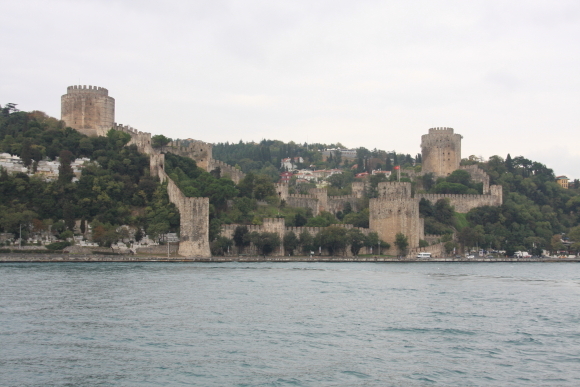 The few well-known geographic hazards are multiplied by ferry traffic across the strait, linking the European and Asian sides of the city, particularly for the largest ships.The catamaran seabuses offer high-speed commuter services between the European and Asian shores of the Bosphorus, but they stop at fewer ports and piers in comparison to the public ferries. 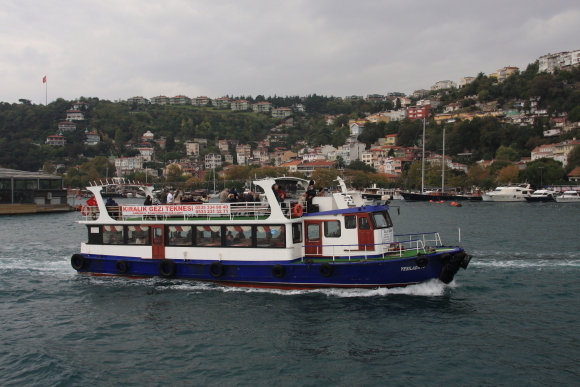 Both the public ferries and the seabuses also provide commuter services between the Bosphorus and the Prince Islands in the Sea of Marmara.There are also tourist rides available in various places along the coasts of the Bosphorus. 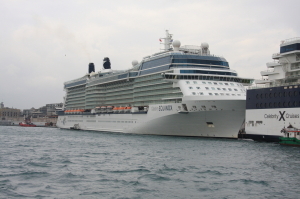 The prices vary according to the type of the ride, and some feature loud popular music for the duration of the trip.